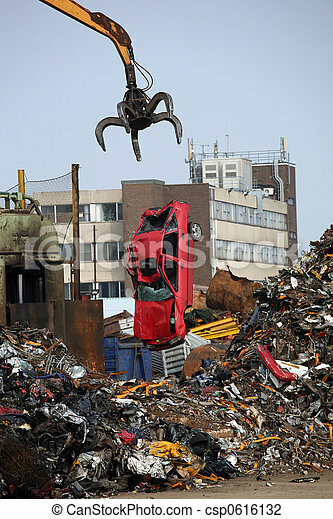 Junk car falling from grab. 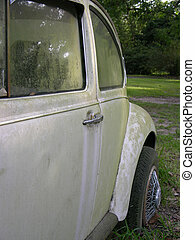 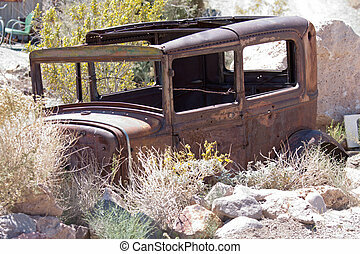 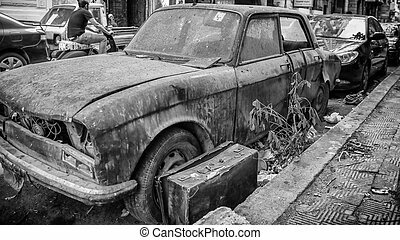 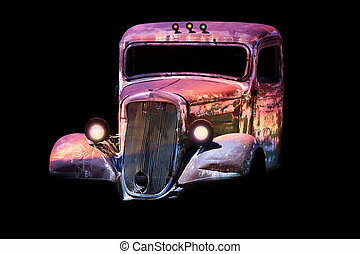 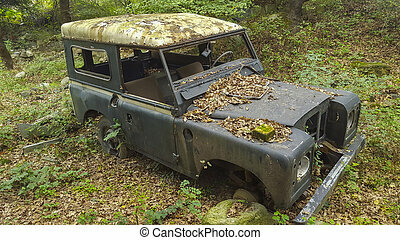 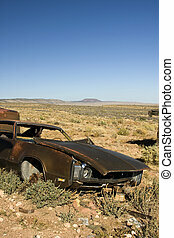 Old abandoned and rusted car. 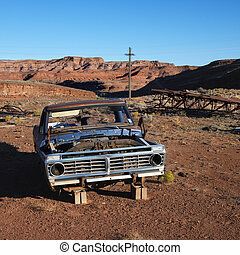 Old abandoned junk car in the desert. 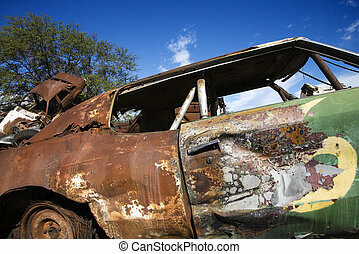 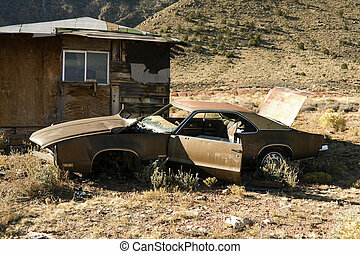 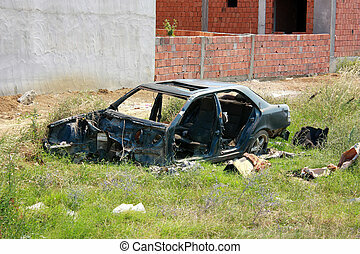 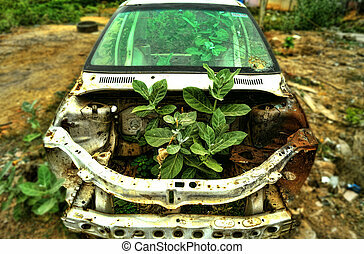 Salvage Title Junk Car. 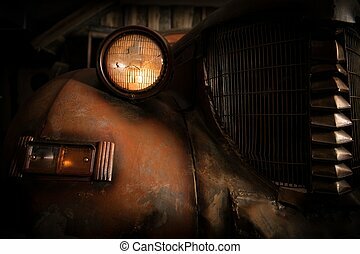 Old and Rusty Classic Car in the Barn. 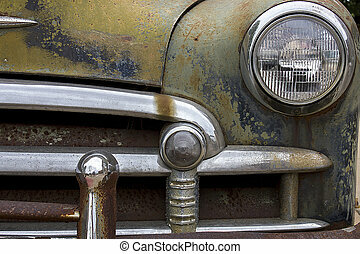 Closeup Photo. 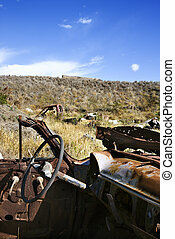 Driver\'s wheel of old abandoned and rusted car in field. 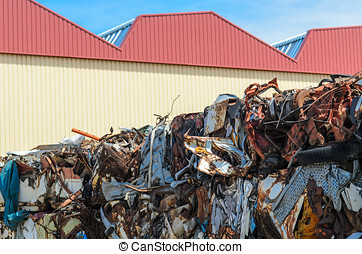 Piles of metal junk, car parts and all kind of old and rusty iron and steel pieces.